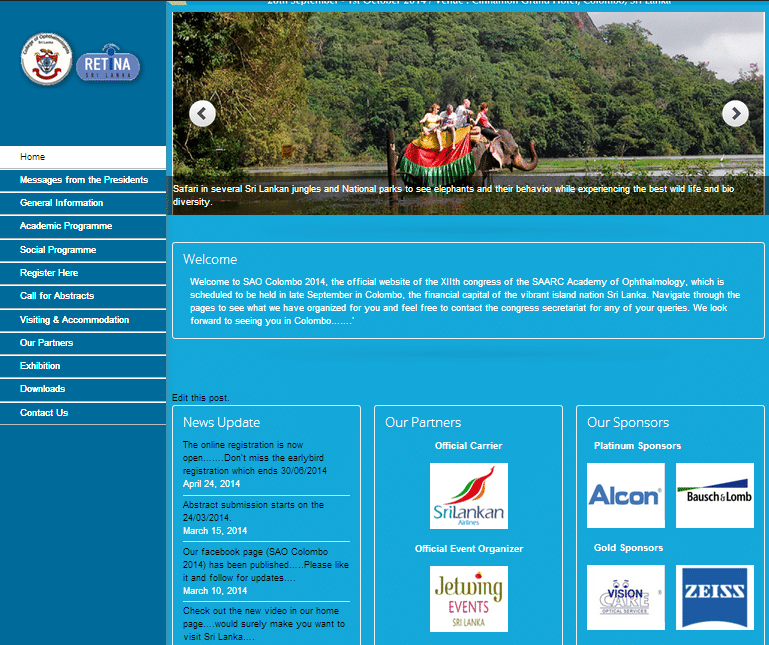 The official website of the XIIth congress of the SAARC Academy of Ophthalmology. Web project run on WordPress. The website had built int eCommerce features for registrants.